Halo 3 supporters in Australia are being called to use their Red v Blue rivalry for the benefit of two major charities, Mission Australia (Red) and Make-A-Wish Australia (Blue). 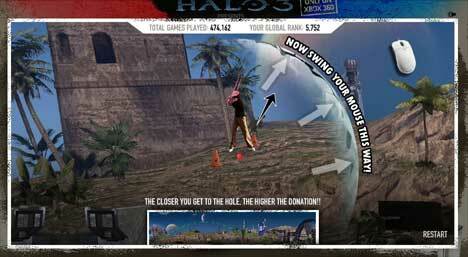 Following on from Halo 3, Halo Fore tests the golfing skills of computer nerds, paying up to $1 per player to their charity of choice, depending on how close to the hole the ball lands. It’s online at www.redvblue.com.au. 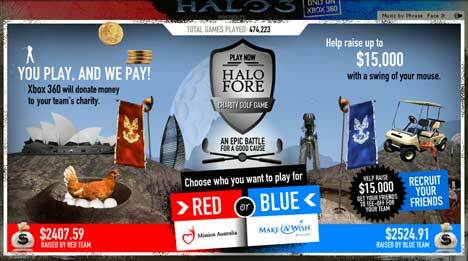 The Red vs Blue site was developed at Amnesia. See the Amnesia blog post with brag comments from the top scorers.